Training: Dorothy Coleborn School of Dancing; Junior Associate of the Royal Ballet; Associate Member of Tap Attack, Swindon; Bristol Hawks Gymnastics Club. Theatre: ‘Chip’ in Beauty and the Beast, BLOG, (Theatre Royal, Bath, 2011); ‘Munchkin’ in Wizard of Oz, BODS, (Theatre Royal, Bath, 2012); ‘Michael’ in Peter Pan, UK productions (Theatre Royal Bath 2013). Other: Haydn competed for South West Gymnastics Team at the National Grades Finals 2013. Haydn would like to thank all the teachers, coaches and staff who have helped him to achieve his dream, as well as his friends and family who have believed in him all the way through this process. 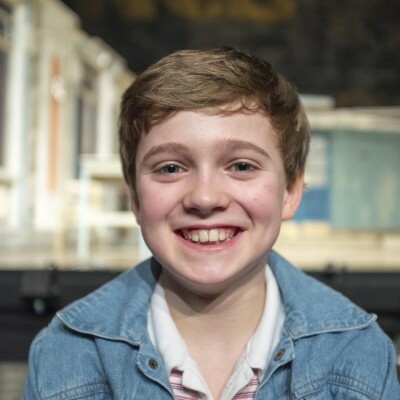 He would also like to thank the Billy Elliot team who have looked after him during his training and hopes to do everyone proud in his performances.